I am asking for a recommendation on a self-hosted web-based price list/table solution. On a back-end, it should allow me to quickly make a list of 500+ product names, with a separate price field. 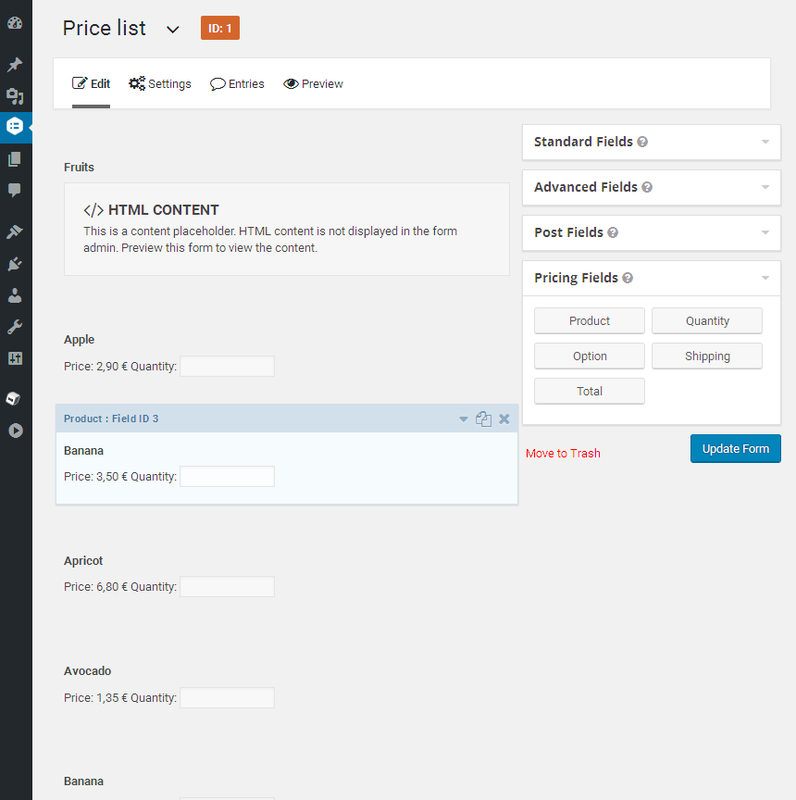 On a front-end, a user would look at that list and enter a quantity of items next to a product name. A user would then hit “Submit” and an order will be emailed to a predetermined address. So far, I have tried WordPress based Gravity Forms. Technically it allows to do all that, BUT dragging and dropping a product field one-by-one for 500+ items is insane. And even if I do enter all that data, managing such a list would be tedious as well. Gravity Forms is just not designed for this particular task. Thus far, I have found a plugin for the WordPress that imports entries from a CSV file into a Gravity Forms form, and I also found a non-WordPress based solution. In the end, I skipped the above mentioned WordPress plugin on its cost terms, and setup a free InvoicePlane application. InvoicePlane is certainly not as simple on a front-end as I wanted, and actually there is no back-end and front-end separation, but looking into a future I think that an extra capabilities provided by this application would be beneficial in a long run. And instead of searching for an elusive simpler solution that is apparently in a very short supply, I will instead train a user to make use of the InvoicePlane. Not the answer you're looking for? Browse other questions tagged gratis open-source web-apps self-hosted or ask your own question. Solution for self-hosted technical documentation?